There’s an interesting story in the news that underscores a key question in this conflict: What would it be like if Bob Malm really were a Christian? 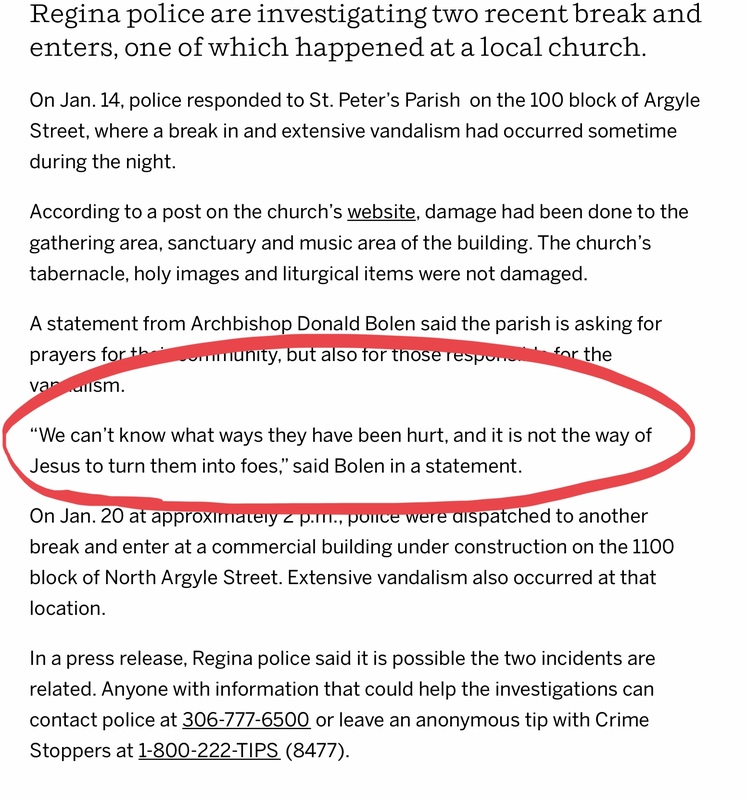 The story involves St. Peter’s Catholic Church in Regina, Canada. Overnight, vandals broke in, breaking glass, topping statues, and otherwise damaging the church. Below is what one Catholic official said. Of course, that contrasts profoundly with Dysfunctional Bob and Sugarland Chiow, where even independent third parties remarked that “this attorney is coming at you with a personal vendetta.” Additionally, Bob and Sugarland repeatedly lied in court, misrepresented facts, and even subpoenaed a dying woman. In short, even with the scandal that has beset the Catholic Church, and rightly so, in many ways it is more truly Christian than the fast-dying Episcopal Church. Small wonder that Grace Church is fast imploding.